By Pink Frenzy : Aïcha Anti-Aging Argan Cream Hi loves! 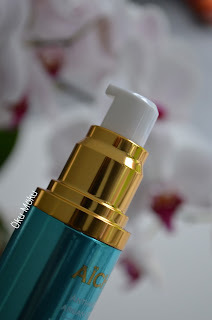 As promised here is a review on Aïcha Anti-Aging Argan Cream (50 ml). All the ingredients in it are 100% from natural origins. Hi loves! As promised here is a review on Aïcha Anti-Aging Argan Cream (50 ml). All the ingredients in it are 100% from natural origins. As the name says this cream is with argan oil and the formula of it feels light on skin. It also contains botanical extracts from plants and flowers. There is no scent to it, so all beauties can enjoy it. The fatty acids in the argan oil helps naturally restore and stabilize the skin hydro-lipid layer. The formula instantly hydrates the skin and because its with argan oil, I was worried how my oily skin would react to it. I was pleasantly surprised how it made my skin feel and it wasn't at all too much for my skin type. The cream sinks instantly into the skin and leaves it soft and smooth. In the past when I have used creams, even the ones for oily skin, they do leave the skin bit creasy (I'm not sure if you know what I mean). The Aïcha Argan Cream leaves my skin feeling hydrated and not creasy. Its hard to explain, but its like applying a primer before doing makeup. It is described as a moisturizer, which can be used as makeup base as well. It does work as a base really well. It gives the skin a smooth feeling a primer would, but you know its good for the skin and has so many good benefits from hydrating the skin to being anti-aging and fights with the signs of aging. What makes it so good makeup base is that the formula contains potent level of peptides, which make the skin hydrated and smooth. I don't have wrinkles yet, except the one between my brows, which is not as deep as it was before. It always gets me excited to see when a product works, because its not always easy to notice the anti-aging part at work, when you don't have wrinkles yet. I saw results after 2 weeks. I have finished already one bottle of this cream and I'm on my second bottle, which I bought with my own money. That already says how much I have enjoyed this product. 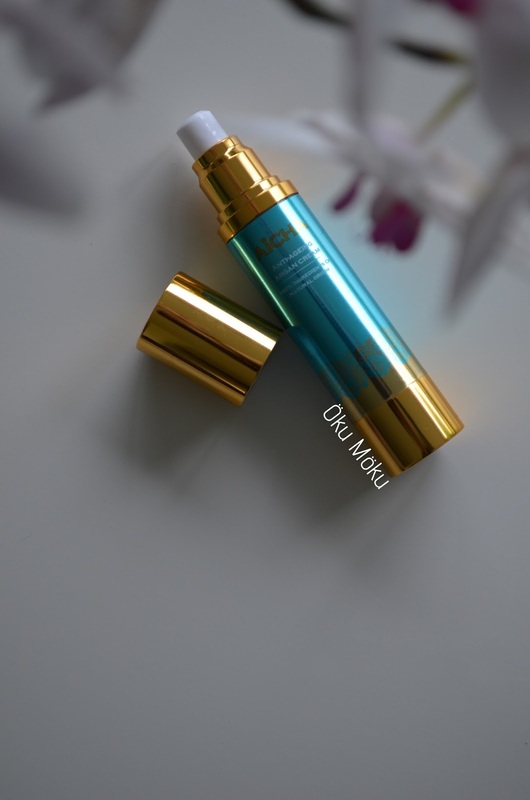 If you are interested in this cream from Aïcha, you can check it out here. Which is your holy grail skincare item at the moment?